PRODUCTED BY Helmet Sensui Co.,Ltd. I expressed with the hot water bottle. 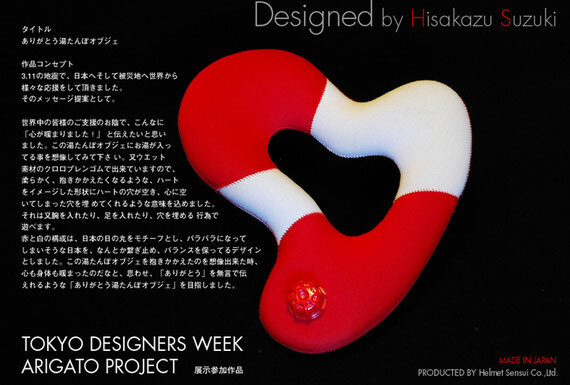 "The heart got warm" like this.This object is soft and would like to hold. A hole is the open heart. Red and white imagine Japan. This object which is connected with everybody. copyright(c) 2011 SPAZIO WORKS ALL Right Reserved.